The real estate and housing sector is one of the main drivers of any national economic development and industrialisation. In Bangladesh the real estate has emerged as a critical sector of our economy. It has a huge multiplier effect on the economic activities and therefore, is a big driver of economic growth. It is one of the largest employment-generating sectors after agriculture. This sector has been contributing about 12-15 per cent to Bangladesh’s gross domestic product (GDP). Not only does it generate directly and indirectly 2.5 million employment opportunities, but it also arouses the demand for over 250 ancilliary industries e.g. steel, cement, tiles and sanitary ware, cable and electric ware, paint, glass and aluminum, brick, building materials, consumer durables and so on. In addition, the real estate and housing sector is contributing 12 per cent to 15 per cent to the national GDP and the annual turnover about Bangladesh Taka (BDT) 20 billion. We all know that housing is one of the very basic rights for every citizen in the country, after food and clothing. To meet this fundamental requirement, the private real estate and housing developers of Bangladesh strategically initiated real estate development venture, a couple of decades back, to solve rapidly the growing urban housing problem along with the government. Consequent to the government’s policy of supporting private sector initiative in this thriving sector, there had been an impressive boom in investment and developmental activities. The sector witnessed the entry of many new domestic realty players. With the passing of the Toma GROUP expanded its business activities and undertook various project in different fields . Toma Properties Ltd. has been one of the leading Real Estate Development Companies of the country. To its credit, it has completed and undertaken a number of Commercial and Residential projects including Satellite Townships. The company maintains a team of highly qualified and experienced personnel diligently working together to maintain ‘Decent Living for the Teeming Millions’. With the Corporate Theme “Leadership with Excellence”. Since practical orientation is an integral part of the BBA degree requirement, I was deputed by the Department of Bachelor of Business Administrationfrom State University of Bangladesh to Limited to take real life exposure of the activities of the organization as a Toma Properties Ltd. This report has been originated the course requirement of the BBA program. I hope the report will give a clear idea about the present real estate market. Generally every study is conducted to find one or mere findings, if the findings are predetermined they called the objectives of the study. The main purpose of my study is to evaluate the Land & Flat Pricing in Bangladesh. Thus the main objectives of the study are as follows. To show overall Sceneries of Real Estate Market and Opportunities in Bangladesh. To analyze the Present Real Estate Market Scenario. To define the Pros & Cons of Real Estate in Bangladesh. To determine the Pricing Strategy. To identify Problems faced by the customers as well as the marketers . To Identify the Reason behind the Real Estate Boom. To analyze the Present Real Estate of Bangladesh & South Asian Countries. To analyze the present flat sales decrease. To put forward some recommendation in the light of the problems identified. The Report has been made on the basis of the objectives mentioned Role Real State in Economy of Bangladesh ( A Study On Toma Properties Ltd) .The paper will be written on the basis of information collected from primary and secondary sources. Primary Sources : Discussion with the respective organization’s officials. For the completion of the present study. Website of Toma Properties Ltd. The duration of the study was Three months. This is an individual study, which is worked for this particular study under my internship program supervisor. Since this is a formal study, the scope of the study was not so detail. I just tried to give an overall scenario of the Real Estate Market and Opportunities as well as an actual market image in Bangladesh. The study covers overall Real Estate scenario of Bangladesh & South Asian countries and all the data are collected from the Internet & Website of Toma Properties Ltd, www. Rehab-bd.com and from other paper which are mainly secondary sources. I. Time constraints: Limitation of time was one of the most important factors that imposed restriction on conducting the study extensively. Due to the time limitation many aspects could not be investigated in the present study. II. The dearth of Secondary data: In Bangladesh there is an acute dearth of secondary data in every sector. The Real estate sector is not exception to this. The amount of secondary date needed to thoroughly investigate the study was scarce. Thus, it depreciated the authenticity of the findings of this study. III. Privacy: It was not possible for me to collect some information that companies considered to be confidential of them, sales figures, profit margins, current assets, net income were important ones. IV. Lack of Experience: As an apprentice, it was not possible for me to apply sophisticated statistical tools and techniques to analyses date. Had these techniques been applied, more detailed and authentic finding could have been derived. DhakaCity, born during the Mughal Empire and grown with the British rule, is expanding rapidly. From the beginning of the 20th Century its growth and latter development is marked with sheer lack of proper and far-reaching planning. The impact is now being felt at the beginning of the new century. 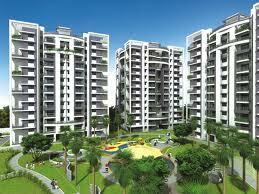 DhakaCity is undergoing terrific growth phase throughout the last two decades. Urbanization is an outcome of both population growth and rural-urban migration. As urbanization increases, more and more people are becoming city dwellers. Bangladesh is not any exception to this picture. In Bangladesh, the problem of urbanization is further aggravated by limited land supply in urban areas, lower land utilization and lack of proper planning and land use policy. As globalization increases, the process of urbanization increases. The ever increasing urban population is creating an increasing demand for shelter. The UN declaration and the constitution of Bangladesh recognize the right of shelter (REHAB, 2003). But being a government of the poor developing country, it is almost impossible on the part the government to ensure housing for all. As public sector failed to ensure their right, people have taken their own initiative to ensure their fundamental need for shelter. This paper is an attempt to observe how private developer and real estate companies are influencing the urbanization pattern with special reference to Khulna and to provide some guideline for sustainable development of this sector. The current trend of urban growth in Bangladesh is about 5-6% per annum. At present 28% of Bangladesh’s population live in urban areas, which will be 34% by the year 2025 (REHAB, 2003). The present estimated population of Khulna is 1.2 million and estimated growth rate is 3.8% per annum (USAID, 1999). The Real estate developers are playing the vital role regardless of high, middle, and low-income people since the past two decades in providing the housing provision. Considering this situation, this paper is to identify the role of Small Scale Private Real Estate Entrepreneurs (SSREE) in providing the housing facilities for the growing urban population and how these SSREE are influencing the growth pattern of the city. In our country large scale Real Estate Business in private sector started gaining momentum from the beginning of 80s. It was initially started by some good entrepreneurs but gradually profit margin allured in a group of unscrupulous and notorious people. The initial concept of real estate finance in Bangladesh evoked probably in the hand of Eastern Housing Limited by undertaking their first land development project for housing in Mirpur area of Dhaka city known as “Pallabi” Project”. It was around 1950’s. During 1970’s apartment development got gross acclamation by the middle class city dwellers and by the late 1980’s it was an established ordinary deal among all levels of income group. And at present, the concept of real estate is getting expanded not only around developing apartments but also model cities, shopping malls, major infrastructure, commercial set-up with elaborate view of high profit margin. Real Estate business took off in Bangladesh in 1970 with only five registered firms. From the early 1980s the business started to flourish and showed robust growth. By 1988, there were 42 developers in business. At present, more than 1500 companies are active in the real estate sector with 1081 of them registered with REHAB (Seraj, 2012). In the last four decades private developers have supplied more than 100000 units of apartments to the nation and will be supplying 25000 more units in the next three years . Preamble: Urbanization is an outcome of both population growth and rural-urban migration. As urbanization increases, more and more people are becoming city dwellers. Bangladesh is not any exception to that picture. The ever-increasing urban population is catering an increasing demand for shelter. The right of shelter is a fundamental right, which is ensured by both UN declaration and the constitution of Bangladesh. But it is very difficult on the part of the government of Bangladesh alone to ensure housing for all. Here comes the need of private sector real estate development. It is a recognized fact that the health of the Real Estate Development Sector is the barometer of the National economy. In Bangladesh Real Estate Business started in Dhaka in late seventies. During 1970s there were fewer than 5 companies engaged in this business. In 1988 there were 42 such developers working in Dhaka and now in 2013 there are about 800 companies engaged in this business. Table: 2.1 Real estate Company growths. Ensure quality of the construction. Market promotion activities by arranging fairs. Create authenticity in the mind of customer. Create policy for this industry. Handle mutual dispute among the members. a) Scarcity of open space in the important areas of the city. c) Hazards of construction of building. d) Rapid increase in population of Dhaka. e) Decrease in the rate of bank interest. f) Price of land and apartments is increasing day by day. h) Open Market Economy. Remittance of foreign currency is very easy. Overview of Toma Properties Ltd.
Toma Properties is an innovative property developer with a fresh approach to development, focusing on creating eco-friendly and architecturally unique property havens for living. Every project we undertake is based on the ethic that we have an principal responsibility to preserve the heritage and social values of the communities as well as the beauty of the locality. A flagship company of “Toma Group” it has Toma Construction & Co. Ltd. who are well known for quality construction, loyalty and commitment. At Toma, we are committed to blend innovative architecture with an unflinching commitment to preserve and add to the natural habitat in Dhaka and all our destinations. Toma Properties has always maintained an extremely high degree of integrity and a reputation for professionalism & honesty. Our public image and reputation are paramount, and this is reflected by the staff who are expected to present a professional attitude at all times in their dealings with the public, their clients and their team-mates. While our goal is always to provide exceptional service, our philosophy is based on customer care with a focus on building relationships with everyone who deals with us. Number of Total Employees : 1000 App. Corforate office : : TomaTower ( 4th floor And 6th floor ),77/1 karail , ramna, Dhaka -1000. To maintain the highest standards in developing commercial properties. To maintain the highest standards in developing homes for individuals. To provide a fine blend of the traditional and contemporary design. To provide feeling of living in a home with ultimate comfort. To provide professional and personalized services of the highest integrity. Maintain outstanding service to its clients. Maintain a high standard of quality of finish. Continue to promote a sense of corporate identity within all the staff team. Continue to provide staff training to providing Excellence Customer Care. Dhaka is a densely populated city but with inadequate housing facility and quality of life, especially for the middle & lower middle class people. Tropical Homes Ltd. is committed to improve the quality of life of these people by offering good quality, low cost apartment affordable to all of customers. Our objective is to create vest employ, make urbanization with modern facilities which will ensure safe environment and where quality will not be compromised. Innovation, dynamism and perfection lead us to ultimate satisfaction of our customers and that is our objective. Toma Properties Ltd. has been one of the leading Real Estate Development Companies of the country. To its credit, it has completed and undertaken a number of Commercial and Residential projects including Satellite Townships. The company maintains a team of highly qualified and experienced personnel diligently working together to maintain ‘Decent Living for the Teeming Millions’. Table: 3.1.1 Some ongoing projects. All apartment are face to south. Green trees are available a long with the architectural beauty . Most of the apartment contains 5 becomes. Mosque is available adjacent to the apartment. Loans facility of DBH and National Housing. Toma Group holds the pride of being one of the largest and most prestigious specialty company for Construction as Contractor at Bangladesh Railway for their various projects including Railway Tracks, Railway Station & Building Infrastructures, Bridges and Culverts Stations, Go-downs, Junctions etc. Accordingly, we have specialized teams of Railway related Engineers, Heavy duty Machineries and Logistic Equipment to cater any services regarding the issue. So far, we have successfully undertaken and constructed number of projects relating to Railway all over the country with dignity, accuracy and commitments and proved ourselves worthy to undertake any in future challenges for this sector. Our On-going projects are even more exciting, complicated and prestigious than before opening up more avenues of experiences and possibilities. All these projects are continuing in full swing according to schedule with their respective manners of Contracts. Table: 3.3 railway ongoing project . Our On-going of Great Maghbagar Flyover projects are even more exciting, complicated and prestigious than before opening up more avenues of experiences and possibilities. All these projects are continuing in full swing according to schedule with their respective manners of Contracts. This is a specialized factory for production and supply of Pre-stressed Concrete Sleepers & Turnouts at our Railway projects. The Plant comprises of manufacturing prestressed concrete sleeper and turnouts for Railway. The location of the factory is at Durmut, Jamalpur district, on the northern belt of the country with more than 5.50 acres of land utilized for different installations including Factory sheds to support – Plants, Godowns, Batching plant, Casting plateforms, Steam Curing chamber, Equipment house, Laboratory, Water curing chamber etc. with more semi sheds for – Stone crusher plant, Sand & Stone stacking yards. DG/BG/MG turnouts, switch expansion joint & static switches are manufactured in our plant which are also used in Bangladesh Railway. Present annual productions are as under. Our On-going of Dhaka and chittagang 4 lan projects are even more exciting, complicated and prestigious than before opening up more avenues of experiences and possibilities. All these projects are continuing in full swing according to schedule with their respective manners of Contracts. The company We have a state of the art Ready Mix Concrete Plant at Dhaka with modern amenities to meet high grade concrete requirements for any under construction sites. With 4 (four) Mixture Trucks each having a capacity of 5 cubic meter of concrete is always ready to deliver concretes at any corner at any given time. The plant it-self has a capacity of 110 cubic meter of concrete in 8 hours of shift per day which can be applied with a 100 meter vertical concrete lifting pump. Financing Strategy: Details of expenses are given in the paragraphs above and annexure for which we will require startup capital or financing. Financing will be needed for buying Raw materials, supplies, computer, equipment & fixtures, tools, travel expenses, salary/wages etc. These expenses are included in our mon TPL cash flow projection to indicate the ongoing requirement of cash. Our sources of finance will basically be the money of Directors, Bank and the Down payments of the buyers. Local carriage, T & P etc. The required documents for availing Housing Loan are given bellow. To know details about loan one can get information from Head Office Loan Department and Zonal and Regional Office, if needed. It is earnest request to valued borrower to inquire details about instalments, rate of interest, ways of repayment system, and ways of disbursement etc. before availing loans as ours is a trifle dissimilar from others. There are seven kinds of Housing Loans are being disbursed. General Loan : It will be availed by single person or spouse. Group Loan : Flat wise loan for a single plot of Multi owner will be availed. Flat/ Apartment Loan : Flat/ apartment loan are half completed/ under constructed will be availed. Extension Loan : This kind of loan will be disbursed to complete extensive part of a constructed building under approved design. Loan for Middle and Lower-Middle income group of people : The sort of loan is provided to build flat of 550 to 1000 square feet. Short tern Special Loan: This kind of loan is provided to build the ending or incomplete part of constructions. The ceiling of loan is determined according to the value of plot, location, surrounding, and standard of construction and estimated rents of the house. Along with IDCP, interest, capital the installment is calculated for 15 years (for general loan) or 180 installments and 240 installments within 20 years for the scheme of middle and lower middle income group while 60 instilments within 5 years for short term special loan. The rate of interest is 12% for Dhaka & Chittagong Metropolitan area and 10% for other area. In case of Non government and private plot the required documents will be provided with the formal application given below. After the establishment of Corporation in the financial year of 2011-12 the total sanctioned loan amount is 4694.74 crore and the total disbursed amount is 4103.53 crore. Up to December, 12 the Corporation has disbursed loan to 73038 borrowers and the sanctioned loan is 4312.40 core. The number of constructed housing units is 182102. The total balance is 2678.65 crore taka. Table: 3.11 Statistics of housing loan. In the real estate industry there are currently more than 800 firms including both commercial and residential developers. Thus it is quite though for one firm to sustain the top position. Competition among apartment business is not so fierce since apartments in suitable locations never go unsold. Here competition is stronger in acquiring desired land than customers. However, all the companies we are working with deal with apartments and the total size of the market for apartments is around 6000-7000 units per year. In case of buying lands , the main distinction drawn by customers is as to quality which is actually goodwill of the companies. The features mentioned above can also be important in this aspect. When a company reaching the target segment as well as the degree of coverage is the main concern, daily newspaper is the best option. About 100% of these target customers read the newspaper every day. Someone thinking of buying a flat will keep his/her eyes open for advertisement of apartments when reading the paper every morning. About prominent Real estate companies place individual Ads every week method of promotion is arguably the most effective one.Electronic media basically, TV channels are one of the important parts of our present life. RE companies provide different lucrative and emotional Ads on electronic media. That’s impact also positive. People are also enthusiastic on telecommunication media. They call RE companies directly in paper. So, the most impacts for sales increasing are electronic media and newspaper. Building and maintaining profitable customer relationship is essential in business for dealing it successfully. In modern business, it is more than essential. A fully satisfied customer is willing to pay more for the product with which he or she is satisfied. To satisfy the customer, the companies have to value the customer’s needs and wants and make products from which they can get their perceived value. Over the last 15 years the Real Estate development sector has made significant contribution to many sectors of our economy. GDP at real estate and Renting and other business Activities. Table: 4.1 GDP at real estate and Renting and other business Activities. Growth rate of construction sector. Table: 4.2. Growth rate of construction sector. Contribution in the Government Exchequer Including Advance Income Tax, Vat and Registration Fees. The Real Estate sector contributes to the Government exchequer through Registration Fees, VAT, Advance Income Tax (AIT), Stamp Duty, Property Handover Tax etc. The following table shows the contribution to the government regarding flat and apartment purchase in Dhaka. According to the new rules, along with a gain tax of 2% (which was 5% till 2007) and stamp duty of 3% a customer is required to pay registration fees to the government, city-corporation and sub-registry office in the rates of 2% (which was 2.5% till 2009), 2% and .05% respectively bringing registration expenses down to a total of 9.5%. A customer also needs to pay an AIT of maximum Tk. 2000 for each Sq. meter of floor space and a VAT of 1.5% pulling cost of acquiring an apartment substantially up. Real Estate generates huge employment opportunity. It may be direct or indirect In Bangladesh around 2, 50,000 employment generated by this sector. Direct Labor Skilled & unskilled: 2 million (20 Lac). The construction industry is a labor-intensive industry, whose capacity of absorbing labor is great. The industry provides many jobs for skilled, semi-skilled and unskilled workers both in the formal and informal sectors. For the migrants from the rural areas the construction industry is often a stepping stone to urban life. Real Estate sector is a major part of the construction sector. Most of the labour force engaged in the construction sector is basically engaged in the Real Estate sector. The following table shows the labour force engagement to the construction sector from 1999 to 2010. The following table shows total amount of loan disbursed on the Real Estate sector from the Banking sector of Bangladesh during the period from June 2006 to June 2011. Undocumented economic activity holds a large portion of the national economy of Bangladesh. Undeclared income could account for up to 80% gross domestic product – some US$110 billion, Agence France-Presse reported this month, citing a new Finance Ministry study (Chowdhury, 2011). Black or undocumented money is kept in different forms and shapes. Black money is kept deposited in local or foreign banks, Real Estate sector, invested in the purchase of shares and stocks, purchase of different saving instruments, sometimes transferred through unofficial channels and is invested outside the country, and also kept in the form of cash, gold, jewelry etc (Waresi, 2010). In Real Estate sector, black money is utilized in acquiring land, apartments, buildings, shops etc. These are often acquired in the names of relatives, friends or trusted men of the black money holder (Waresi, 2010). But the usage of undocumented money in the Real Estate sector cannot be measured precisely because no authentic information is available anywhere. The price hike of apartments is a major and debatable issue in the Real Estate sector of Bangladesh. The Real Estate developer companies are criticized of charging a lot of money for an apartment. But from the above discussion, it is obvious that, in recent years, apartment price increased due to the unimaginable increase in land price as well as sharp increase in prices of the construction materials. The following figure shows the combined effect of price hike of land and construction materials on apartment price. The percentage increase in prices is calculated using 1990 as the base year. So, from the above discussion, it is clear that, price hike of apartments was obvious in the last few years. The Real Estate Developers were bound to increase their price to cover the cost of a project. In the first decade of 21st century, the price of per katha land increased unbelievably almost all over the Dhaka city. Compared to the price increase of the earlier decade, the percentage increase in price almost doubled, and in some areas it is three times to ten times the earlier price. Lack of investment opportunity in other sectors of economy. Rapid urbanization and consequent scarcity of urban land. Lack of comprehensive land policy. Land speculation and the role-played by brokers. Land ownership being regarded as a symbol of social prestige. Land purchase by real estate developers. A lot other construction materials are required to develop a Real Estate project, but only the above five are analyzed due to the availability of historical data. Data regarding other construction materials are not available. The following figure shows the price hike trend of brick and fine sand from 1990 to 20112. After 2005, price of bricks had a rapid, almost exponential, increase. After 2004, price of fine sand had a rapid increase. Then at 2008, the price fall down a little, but then again at 2010 there is a sharp rise in per cubic feet price. After 2002, price of 60 grade rod had a rapid increase. Then at 2008, the price fall down a little, but then again at 2010 there is a sharp rise in per ton price of rod. After 2002, price of per bag cement had a rapid increase. Then at 2008, the price fall down a little, but then again at 2010 there is a sharp rise in per bag cement price. Statistics & studies show that in 2000-2015, urban growth rate is expected to be at an average of 3.7 for Bangladesh. India, one of the most attractive markets of global real estate, is expecting 4.9% growth of urbanization. Moreover which India is estimated to have 36% people living in urban areas by 2015, Bangladesh is expected to have 34%. The scenario is further evident by the per square kilometer population density growth in Graph-4. Increase in land price and price of the construction materials automatically results in increase of apartment price. In this section, the price hike scenario will be analyzed. The following table shows the price of per square feet apartments in the major areas of Dhaka city from 1990 to 2010. In the first decade of 21st century, the percentage increase in per square feet price of apartments is very high, particularly in Baridhara, Dhanmondi, Gulshan, Banani, and Shamoli area. Compared to the price increase of the earlier decade, price rise is almost exponential in this decade. Currently, about 5 per cent of India’s GDP is contributed by the housing sector. The GDP share of the real estate sector (including ownership of dwellings) along with business services was 10.6 per cent in 2010-11. After growing at 10.4 per cent in 2008-09, the rate of growth of this sector has decelerated to 7.8 per cent in 2009-10 and further to 6.9 per cent in 2010-11. Estimates show that for every rupee that is invested in housing and construction, 0.78 paisa gets added to GDP. Housing ranks fourth in terms of the multiplier effect on the economy and third amongst 14 major industries in terms of total linkage effect according to Economic Survey 2011-12. Activities in the real estate sector may broadly be classified into residential, commercial and the retail segment and hotels. The size in terms of total economic value of real estate development activity of the Indian real estate market is currently US$40-45bn (5-6% of GDP) of which residential forms the major chunk with 90-95% of the market, commercial segment is distant second with 4-5% of the market and organized retail with 1% of the market. Over next 5 years, Indian real estate market is expected to grow at a CAGR of 20%, driven by 18-19% growth in residential real estate, 55-60% in retail real estate, and 20-22% in commercial real estate. Sample job opportunities in service sectors. Housing demand in Srilanka is increasing day by day, and their real estate is booming comparatively well than other countries. Thoughthe apartment and land price in Srilanka is lower than Bangladesh. Though the housing industry in Bangladesh, especially in Dhaka, has made remarkable progress in the last ten years. With apartment-sale charts consistently displaying positive curves. Levels of interest in this sector are certainly high. According RIU sources, around one quarter of apartments in two new high-rise projects scheduled for construction by one of Sri Lanka’s main condominium developers have been reserved even before construction has started. Out of the 226 apartments built in the first phase, only ten remained to be sold. The average sale price of houses in Sri Lanka was LKR 17.63 million (US$ 133,831), according to Lanka Property Web, one of the country’s leading property portals. The average price of apartments was LKR 25.36 million (US$ 192,511). The average price of land was US$213 per sq. m. or LKR 710,000 (US$ 5,390) per perch in July 2012 (1 perch = 25.29 sq. m.). The story of land prices in the suburbs has been one of almost continual appreciation over the past two decades according to available data. The factors exerting upward pressure on prices include rising demand for housing, currently estimated at around 90,000 units per annum, increases in per capita GDP, increases in migrant worker remittances and the financial health of local corporations. Fluctuations in interest rates have direct short-term impacts where the relationship is traditionally a negative correlation. In Bangladesh three decades back the city dwellers were reluctant to live in flats while ten years back someone would have thought twice before buying an apartment/flat. But in the last couple of years people have shown an increased interest in owning apartments. As mentioned earlier the main reason is economic due to increased land cost as well as construction cost. As a result of increased demand, many apartment builders have appeared in the market in recent years. Twenty years ago there were fewer than five companies in Bangladesh engaged in developing apartments while today there are more than 1000 developers. A major percentage of the residential dwellings in Karachi city comprise apartments. Anecdotal evidence suggests that 40% of the total residential dwellings are apartments. Arcadian with 2,000 and Lucky One with 600 apartments are two major upcoming projects in the city. Lahore has a very limited supply of apartments. There are approximately 20 mixed-use developments across Lahore offering 2 or more floors of apartment units. However, most of these apartments have been converted into offices and are currently being used for commercial activity. Due to the usage of apartments as offices, pricing and rents vary considerably. Our survey estimates 14 new projects were planned to be injected into the existing supply of apartments by 2013. However, only 4 of these are currently under construction but their construction pace is very slow. According to our estimates, apartments constitute 10% of the total residential developments in Islamabad. Studio apartments and 2 bedroom apartments are the highest in demand and the prices tend to vary depending on the quality and location of the development. Currently, Colliers estimate average occupancy of over 90% in Islamabad’s apartment sector. Apartment developments located in diplomatic enclave tend to have higher rentals ranging from PKR 80,000 – 100,000 per month whereas, the ones located in other parts of Islamabad range between PKR 35,000 – 40,000 per month. The capital values range from PKR 6,000 – 13,000 per sqft depending on the quality of the development. Compare the Economic Contribution among the Bangladesh, India Pakistan and Sri lanka. Table : Compare the Economic Contribution among the Bangladesh, India Pakistan and Sri Lanka. Asia Pacific Real Estate Health Monitor. a) Lac of general guidelines of building designs to prepare appropriate planning rules, building code based on the character of the area. It should also cover building regulations and related detailing of the building and also cover selection of materials. b) It has been observed that the construction material and equipment differ from place to place, considering this fact, specialized standards and code should be made. c) Lac of innovative technologies in the sector for high productivity. d) Lac of proper research support and financial support in public and private sectors. e) Environmental impacts and other information are not available to the public. f) Selection of building materials, the consultants and experienced contractors are in adequate. g) Less encouragement of local based building materials as well as cheaper alternative/substitutes. h) No separate financial policies for consultants/contractors. i) Lac of management effectiveness in the construction sector. j) No extensive and multifold regulation. k) Lac of establishment the regulations and control procedures of the government. a) Appropriate planning and programming for the construction project would be framed based on the nature of works. b) The authority with help of professionals should formulate general guidelines of building designs. Special attention would be given to prepare appropriate planning rules, building codes etc. based on the character of the area. c) It has been observed that the construction material and equipment differ from place to place, considering this fact, specialized standards and code should be made. d) Simple and innovative technologies should be introduced in the construction sector for high productivity. The attention should be given on its acceptability to the sectors. Affordability to the government as well public enterprises should be taken into consideration. e) Research and innovation for development should be encouraged. Proper research support and financial support should be provided both in public and private sectors. Even groups of entrepreneurs and individuals should be encouraged by the policies. f) Research outputs, available materials, energy consumption cost, environmental impacts and other information should be made available to the public through institutions and mass media. g) Local based building materials as well as cheaper alternative/substitutes should be encouraged. h) Special financial policies for consultants/contractors financing should be introduced. It would be included: i) reduction of bureaucracy ii) generous advance payments, iii) risk guaranties etc. i) Overall management capabilities is essential for the construction sector. It should be managed through institutional basis, and the construction actors have contractors, laborers, managers and other related actors as active participants. Today Bangladesh stands on the juncture of economic emancipation. The stage is set for rapid growth and development in every sector of the economy. The real estate sector is also experiencing significant changes. ‘Professionalism’ is the key word for success now a days and in the years to come. Only those companies which have a total commitment to this sector will thrive. TPL is determined to play a leading role in the development of the real estate sector in the twenty –first century. TPL has worked towards building a strong foundation and establishing a professional corporate identity for the company. Today, in the field of real estate development, though TPL is new, but in future, it will be a recognized leader which will be respected for its achievements, professional ethics and innovative concepts. TPL’s corporate philosophy is however based on a very simple principle – “A friend in need The Bangladesh real estate sector has traditionally been an unstructured sector but it is slowly evolving into a more organized and regulated industry. Bangladesh has huge potential to attract large foreign investments into real estate sector. With real estate reaching a point of saturation in developed countries and the demand and prices falling, global real estate players are looking at emerging economies such as Bangladesh for tapping new opportunities in the real estate sector. Future prospect of the business: The growth of urbanisation is being observed sharply (approximate 3.7 per cent per annum) in Bangladesh in the last one decade owing to the growth of economic opportunity, upgrading of living standard, as well as enjoying modern facilities in the day-to-day life. Similarly, an ever increasing younger population would be the major driver of huge demand for housing in the near future. Source: India real estate overview. Toma properties Ltd (TomaTower 7th floor And 6th floor ),77/1 karail , ramna, Dhaka -1000.